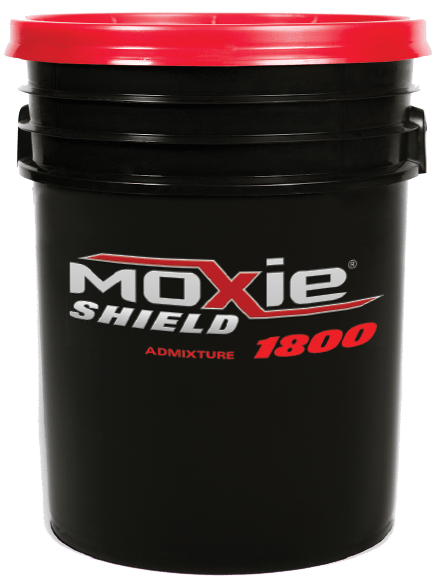 Moxie Shield 1800 is a ready to use, multi-purpose liquid admixture formulated to stop moisture vapor, water migration and alkali efflorescence above and below grade. Moxie Shield 1800 Admixture is suitable for all forms of cementitious construction and products. 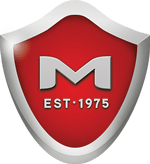 Moxie Shield 1800 Admixture creates a complex chemical reaction by converting the byproducts of cement hydration into a higher density cementitious material creating an impermeable substrate. The unique chemistry of Moxie Shield 1800 admixture forms an integral colloidal gel membrane prior to initial set. These colloidal gels eliminate the formation of capillary pathways and restrict the rapid evaporation of surface water. Moxie Shield 1800 increases freeze thaw durability and becomes an integral curing compound. Need proof? How about fool proof. 40 years later and still no known equal. 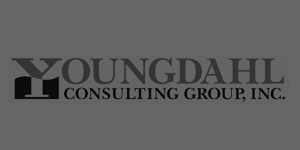 "...we have been recommending the Moxie products…for the past 12 years. In over a hundred slabs where this product has been utilized based on our recommendations, we have never experienced moisture migration through the treated slab."